DKNY Be Delicious perfume is a refreshing scent in an iconic apple-shaped bottle tempts you to take a bite out of life. A sophisticated blend of apples, exotic flowers and woods creates a fresh, juicy scent that can only be called delicious! 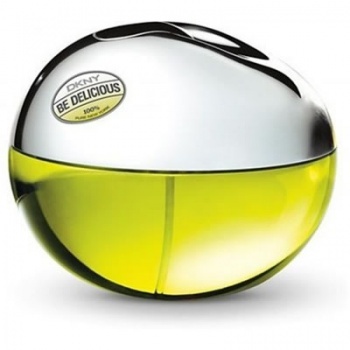 DKNY Be Delicious begins with apple, green notes, violet leaf, grapefruit and magnolia over a soft floral heart of tuberose, lily of the valley, rose and violet and a rich woody base ofsandalwood, amber and musk.